Deportment, speech, and dress are external indicators of internal commitment. Editor’s Note: This article is condensed from President Samuelson’s Jan. 13, 2004, devotional address. The student who is most directly responsible for my comments today has a mother who made the following observation to me. After expressing her respect for Brigham Young University and her gratitude that her daughter is able to attend, she said something that penetrated me like a sharp dagger. This faithful mother said she was trying to help her daughter dress more modestly and wear less-tight clothing. Her daughter, one of you, said something to the effect that her professors and even, on one occasion, the president himself had seen her and not said anything critical of her dress and appearance. I plead guilty for apparent past deficiencies and consider my message today to address not only the past but also the present and future. My comments apply to the relatively few, but since everyone in our university family is important, I will ask that we all consider what we can do about the serious issues of modesty in dress, speech, deportment, and attitude. We all have much about which we should be modest. None of us is perfect, and, as has been observed by a special friend and longtime member of the BYU family, concrete sidewalks develop cracks at BYU just as they do everywhere else. I also want to be clear that these matters should be a concern for you men as well as you women. I have assumed, and still do, in large part, that you understand the doctrines underlying modesty, personal appearance, and agency and that you will make correct decisions and judgments when you take time to think carefully about the issues. My purpose today is to help all of us seriously and personally consider these doctrines as well as the broader issues related to what we represent externally to others as a reflection of our inner selves. External appearances do matter. It is not only the military or athletic teams that wear uniforms or distinguishing apparel. You and I can think of many examples, such as the school uniform our daughter Sara wore while we lived in England, certain kinds of paraphernalia worn by gang members, and even the white shirts common to our missionaries and priesthood leaders. Although specific messages, both good and bad, are usually intended by clothes, makeup, hairstyles, jewelry, and the like, it is also true that we may inadvertently send unintended signals by our appearance. For example, on weekdays, until I was called as a General Authority, I usually wore colored or striped shirts. I was not making any conscious statement, but a few years later I learned that my work colleagues knew when I had a Church meeting after work because of the white shirt I would be wearing. I hadn’t thought that my shirt color would affect anyone but me, but it did. In a similar vein, before March of last year, no one ever cared about the color of my ties. Now a day does not go by that someone does not remark on the color of my tie, and my red ones have been securely retired! The great challenge we all face as we live in the world but are not part of the world is that standards of modesty, dress, and personal conduct have rapidly changed from a societal perspective but are constant in the eyes of the Lord and His Church. Things that once might have been considered slovenly or totally inappropriate are now celebrated and even modeled by those in the public eye, who often seem to revel in their capacity to shock and “push the envelope” of propriety. Some seem to believe that any attention, however personally degrading, is better than being out of the limelight. Some believe they are expressing newfound freedoms, when all they are really doing is expressing ignorance or disdain for things sacred and significant while being trapped with the milling hordes of low-class conformity. Most in this audience know well the sustaining doctrines of the great plan of happiness, and yet we may fail to make connections between sacred truths and practical applications we should employ as we live our lives. The Apostle Paul understood this potential disconnect in our thinking and actions when he asked this important question: “Know ye not that ye are the temple of God, and that the Spirit of God dwelleth in you?” He then went on to explain not only what we all should know but what we should use to measure how we see ourselves and how we choose to present ourselves to others: “The temple of God is holy, which temple ye are” (1 Cor. 3:16–17). Let me state clearly that these standards apply to all of us, whatever our age and station. Much like the Word of Wisdom, some things are specifically proscribed and others are left to our own judgment and inspiration. I think the Word of Wisdom advice from the Doctrine and Covenants applies to the issue of modesty as well. Most of you have no problems concerning the Word of Wisdom with respect to the substances it prohibits. What we may not realize is that there are other seductive pressures and temptations that the adversary will employ on those who do not realize that what we put on our bodies may be as corrosive and dangerous as what we might ingest into our bodies. Some of you are probably thinking that your president is old-fashioned and out of touch on many things. I cheerfully plead guilty. I also seriously declare to you that I know what I speak today is true and vital for you to hear but even more important for you to understand and practice. I have great confidence in the statement of the Prophet Joseph Smith when he was asked how he governed the people. He said, “I teach them correct principles and they govern themselves” (quoted by John Taylor in “The Organization of the Church,” Millennial Star vol. 13, no. 22 [Nov. 15, 1851], p. 339). I have reminded you of correct principles. They are true, and they are vital if we are to achieve the success in mortal life that our Heavenly Father hopes and expects for us. I also remind you of your responsibilities to and for each other. You young women will have a greater influence over the appearance and deportment of young men than will others if you will kindly but directly share your concerns and commendations. Likewise, young men, you will be of the greatest assistance to our young women when you carefully and charitably share your encouragement for modeling modesty in every way. When we show that we really know who we are, we benefit not only ourselves but others. The counsel of the Apostle Paul to his young associate Timothy seems as current and appropriate for our day as it was in theirs: “Take heed unto thyself, and unto the doctrine; continue in them: for in doing this thou shalt both save thyself, and them that hear [or see] thee” (1 Tim. 4:16). May we take heed of ourselves in the light of our doctrine and the counsel of our leaders with the confidence that we—and others—will be blessed through our devoted and thoughtful expressions of who we really are and who we wish to be. 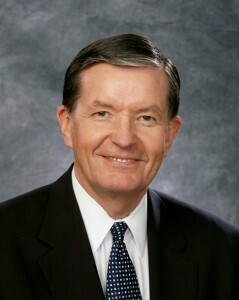 The full text of this address by BYU president Cecil O. Samuelson can be read online at more.byu.edu/modesty.